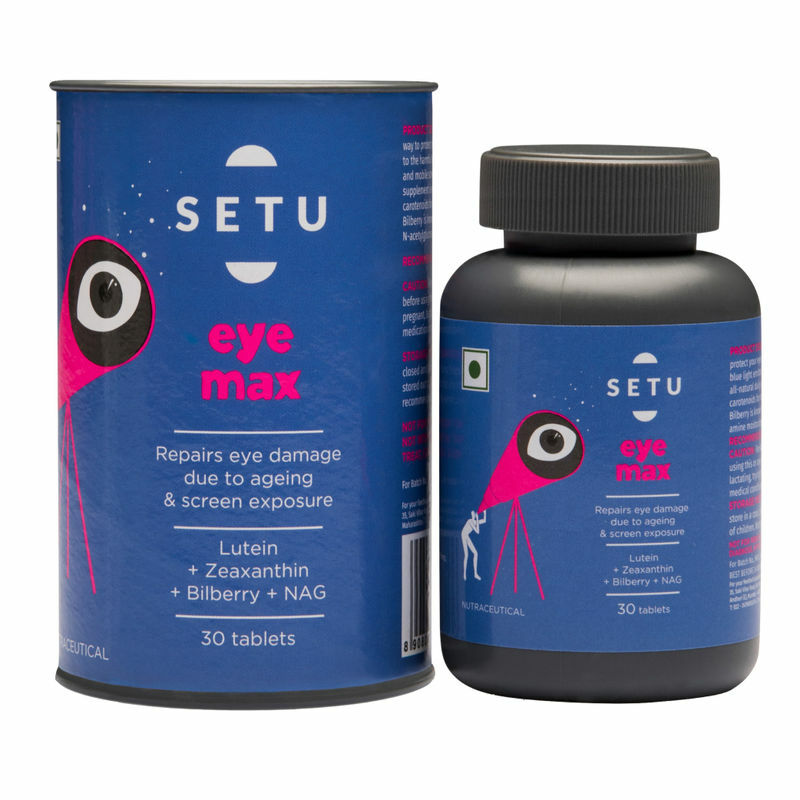 Setu's Eye Max is a healthy way to protect your eyes against daylong exposure to the harmful blue light emitted by computer, TV and mobile screens. Our all-natural daily supplement is enriched with the two best carotenoids for retina health-lutein and zeaxanthin. Bilberry is known to enhance night vision; N-acetylglucosamine moisturizes tired eyes. Fight the bad blue light from screens and reduce your strain with this nutritional filter for the digital age!